You should get a lifetime’s worth of chamois for this. Theirs are probably hand stiched with an “H” on them. I’m sure they are nice. I’m film based however, which probably means no freebie for Danno. How come those images aren’t squares? Huh. 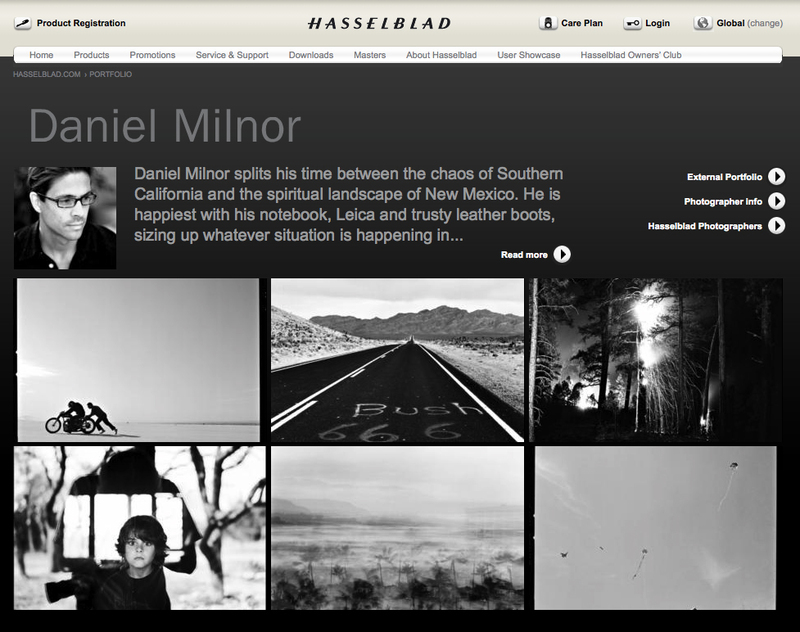 Seems odd for a Hasselblad website. Just sayin. Well, those H cameras are rectangular in format. five out of six cropped well. pretty good numbers. I like the ‘Bush 666’ shot. Cool compo and contrast. That’s cool. I agree with David though…there should be an option for the square crop. It’s hasselblad. I think there is a crop option. I just didn’t use it. I think. I’ll check.